Although most of the news today cover the upcoming flagship smartphones coming from Samsung or HTC, there are some handsets that deserve the same level of attention and Asus Zenfone 2 is one of those smarpthones. Announced last month at Consumer Electronics Show (CES), the Zenfone 2's price has been confirmed to start at $200. However, Asus plans to launch more than one version of the Zenfone 2, so those who can afford will be able to grab the 4GB model, which is likely to cost more than $300. 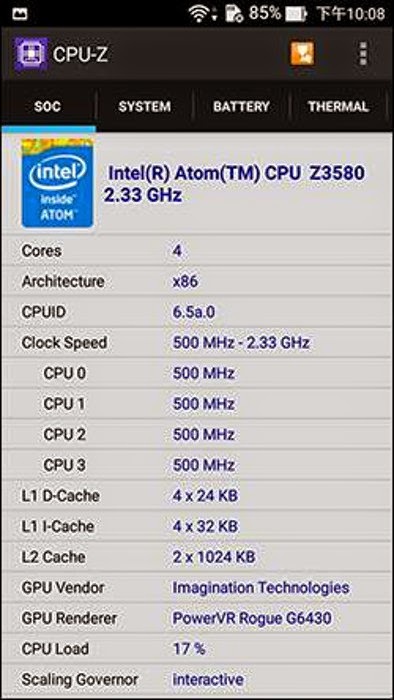 Asus confirmed its Zenfone 2 smartphone will come with Intel Atom Z3580 chipset that accommodates a quad-core processor clocked at 2.3GHz. The information has been recently confirmed by a few benchmark tests coming directly from China. 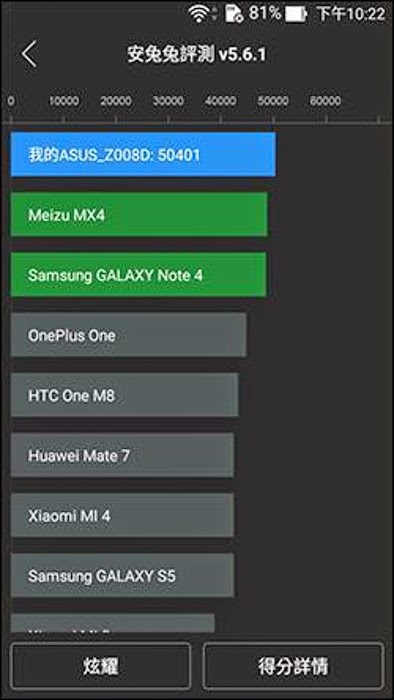 If you ever doubt that an Asus smartphone could be the most powerful smartphone available on the market then these benchmark will show you that you're wrong. 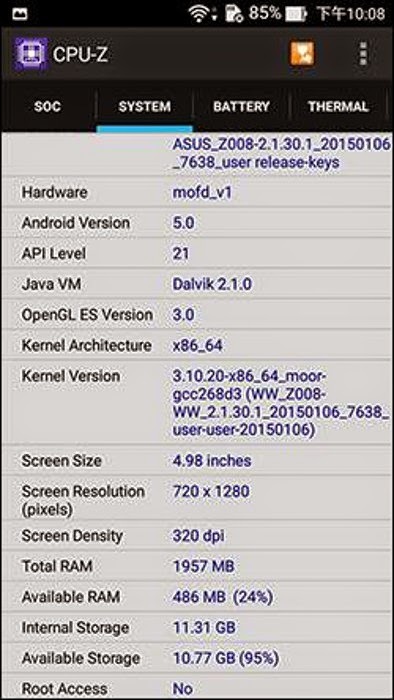 First of all, the smartphone tested is a prototype unit equipped with a 2.3GHz quad-core Intel Atom Z3580 processor, a PowerVR Rogue G6430 graphics processing unit and 2GB of RAM, so it's not even the 4GB version. Even so, the Zenfone 2 took over the benchmark ranks by scoring no less than 50,401 points. Coming in second is Meizu MX4, which is currently seen as world's most powerful smartphone. 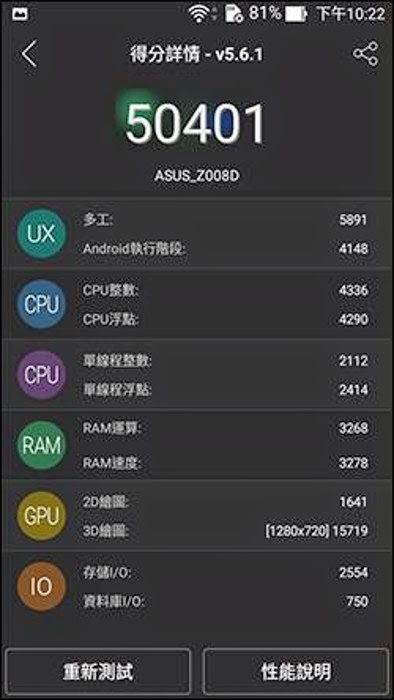 The massive results produced in AnTuTu benchmark, even if it might seem impressive, it will only briefly help the Zenfone 2 take the crown for world's most powerful smartphone because Samsung Galaxy S6 Edge has scored more than 60K points. The question is how many points Asus Zenfone 2 with 4GB of RAM will be able to score. Even if will be lower than Galaxy S6's score, Zenfone 2 is much cheaper than Samsung's flagship smartphone, so that won't matter that much. So there you have it folks, Asus Zenfone 2 is not only a cheap high-end smartphone, but also a very powerful one.